It had been suggested that I make a tutorial about taking a screenshot that can be saved to the desktop or shared via email, etc. I have expanded on that slightly to provide a demo video of three different tools that can be used to do this. The first one is the snipping tool which, if you are using a somewhat newer PC, you probably already have this. The snipping tool is an extremely watered down program with some very limited annotation tools. A screenshot of the Snipping Tool in the menu. This shot was taken and modified with SnagIt. Snipping tool allows you to freehand draw or highlight and then save or email the final product. I took this particular shot with Snagit since getting it with the Snipping tool wasn't gonna happen. It allows for the ability to do freehand, window, and full-screen snips in addition to region snips as shown in the video but does not allow for snips that require more clicking to setup. The second one is Greenshot which does significantly more things for the wonderful price of FREE. Below, you can see a shot of the image editor. This shot was taken and modified with the Greenshot tool. I tried to display a number of features available in the program. As you can see in the screenshot - I can add text boxes, shapes, arrows, as well as freehand draw. I can also highlight and magnify and blur out other areas. Your capabilities with Greenshot are far greater than those of Snipping tool. If you want to do more with your image after it is captured, this is a great next step without any financial investment. Finally, we have Snagit. This product will cost some coin but if you do a great deal of this sort of work, I feel it is well worth the investment. 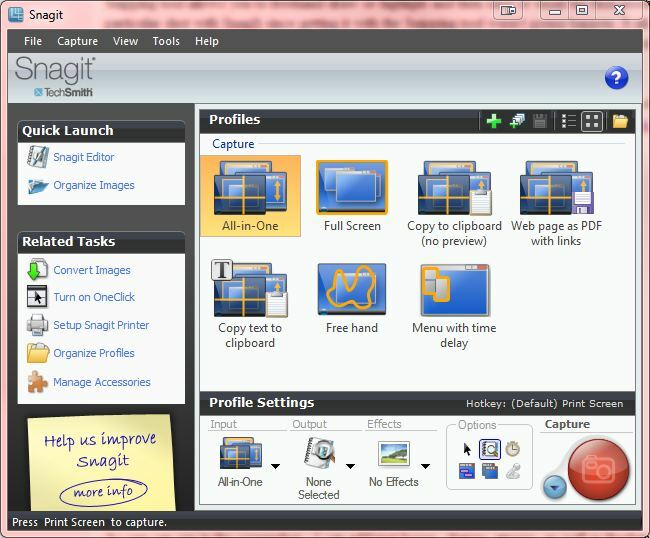 Snagit will cost about $50 but will provide loads of other features that make the other two pale in comparison. Time delayed capture to allow you to setup a shot with menus and submenus, callouts, and hotspots just to name a few. A view of the Snagit user interface when launched. 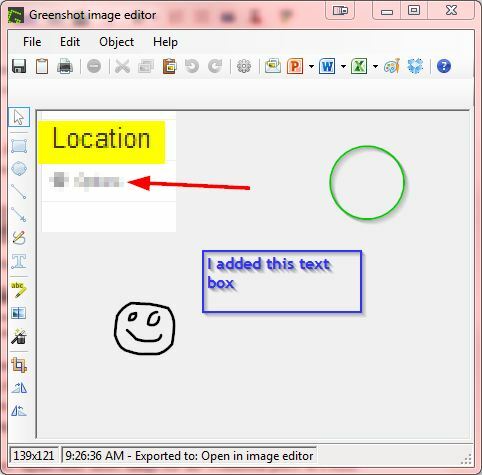 By far, Snagit is my favorite and certainly, I would recommend it for anyone that plans on doing a lot of this sort of thing. If you only need an occasional clipping and no need for powerful editing - the others would likely suffice. Unlike the other two - this one is also available for Mac. Here is the video demo. Enjoy! I know there are a lot of tools out there for this. Which one is your favorite?